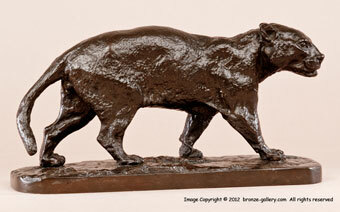 Mene was best known for his sculptures of horses and dogs, and his jungle cat sculptures are quite rare. His big cats were done in the early years of his career and were not cast in large numbers but they are beautifully modelled. The Jaguar of Brazil was created in 1840, the powerful cat is shown walking calmly. Jaguars are much heavier muscled than panthers or leopards, and have a thicker body and a shorter tail. 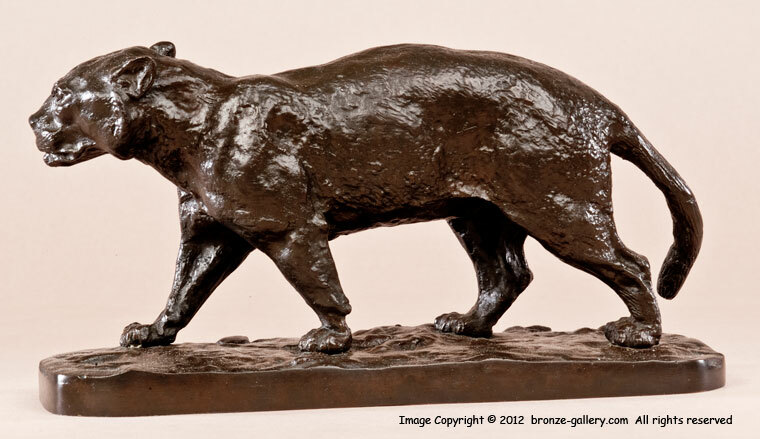 Mene did a superb sculpture in his Jaguar of Brazil, it captures the nature of this animal perfectly. This bronze was cast in 1840 by Mene's own foundry and it has crisp details with a rich dark brown patina. It is a rare model and a very fine early work.